• Crystal tempered glass panel will never fade. The switch will always look like new. 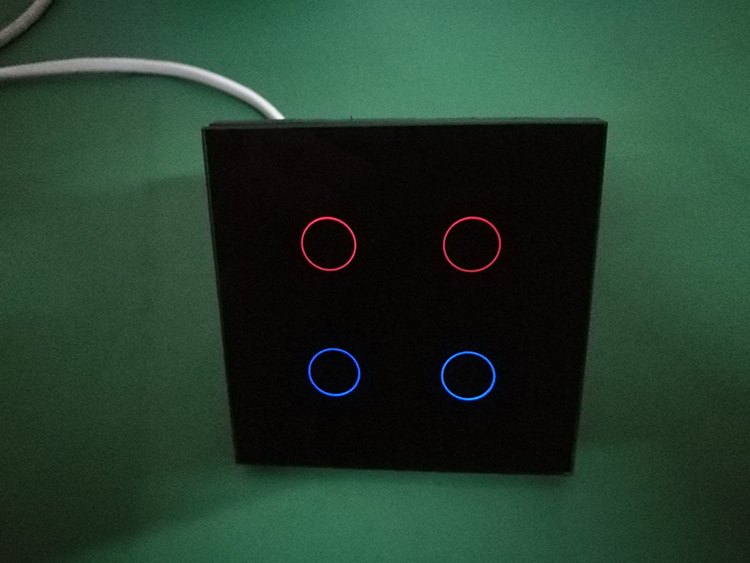 6 Buttons Fan switch can control two fans. There are 6 buttons on the switch. Two buttons can turn on/off the fan. Two buttons dim up the fans. Two buttons dim down the fans. 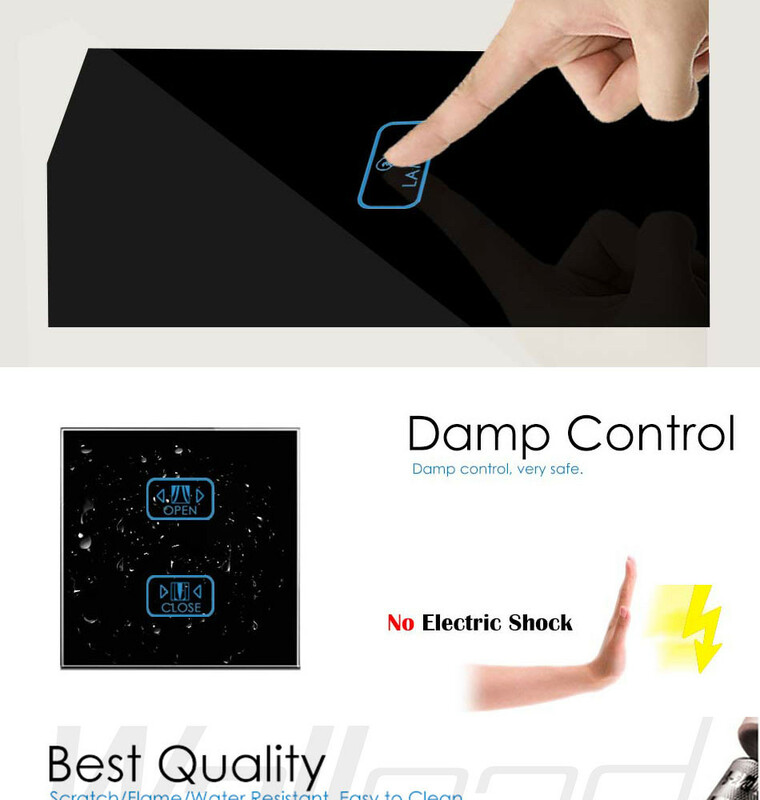 @High quality crystal tempered glass panel design, never fade. 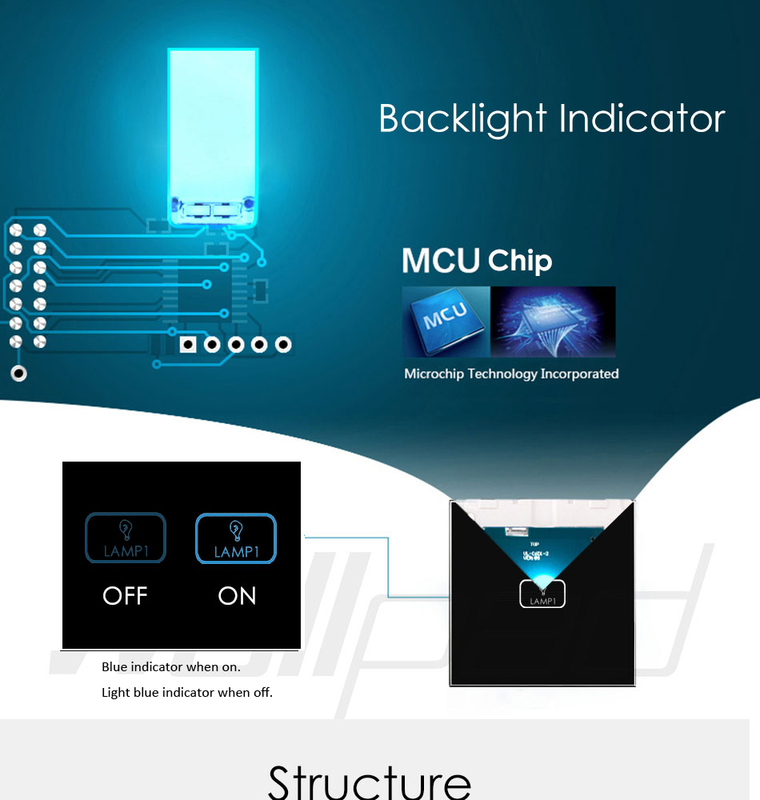 @With blue LED indicator, very distinguished. 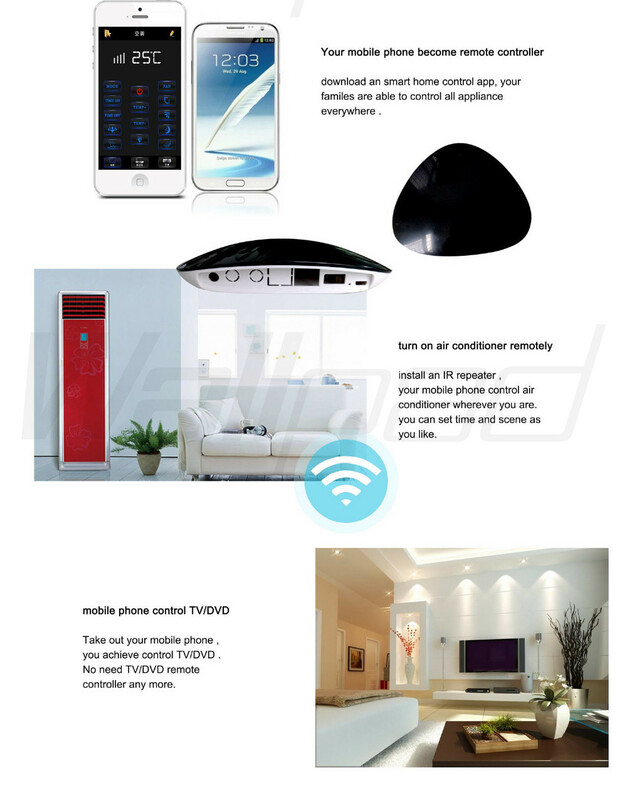 @Overload & overheat protections, make your home safer. @More humanization design: the lamp is off when the incoming of electricity again, save electricity. 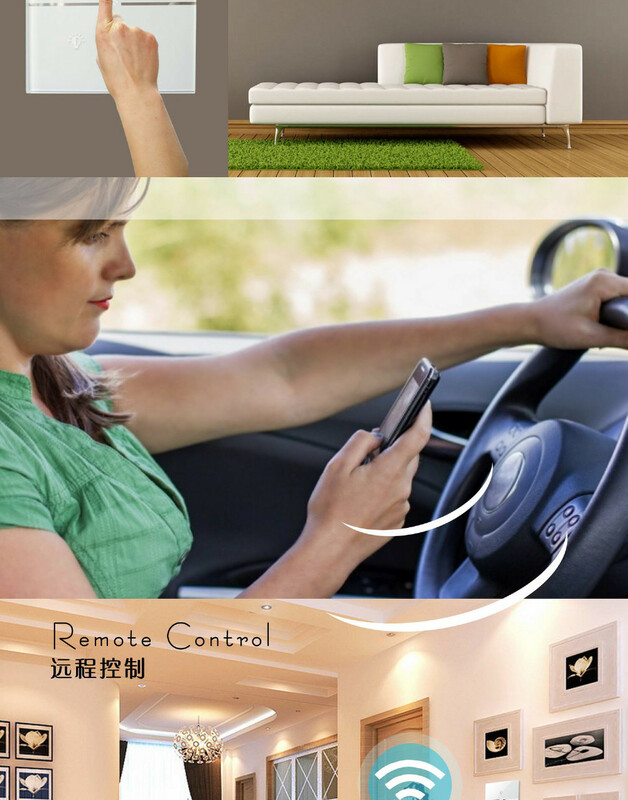 @Silent touch, keep your home or office silence. 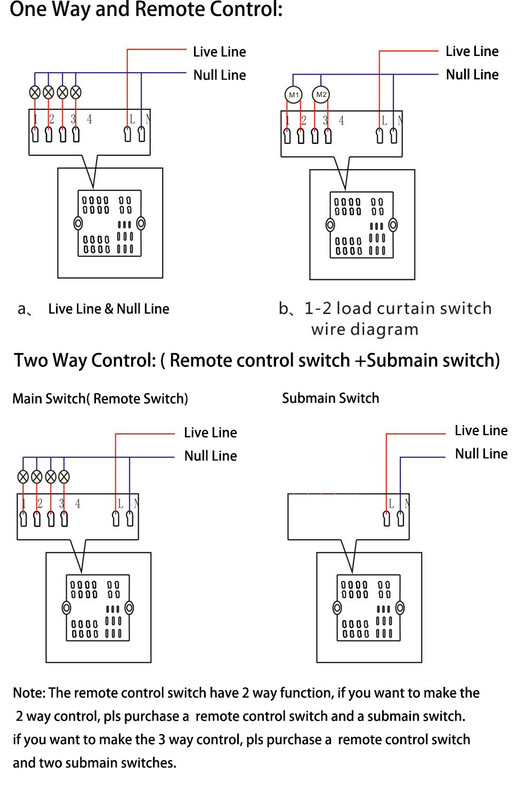 @Single live wire control, easy to install, replace the old switch directly. 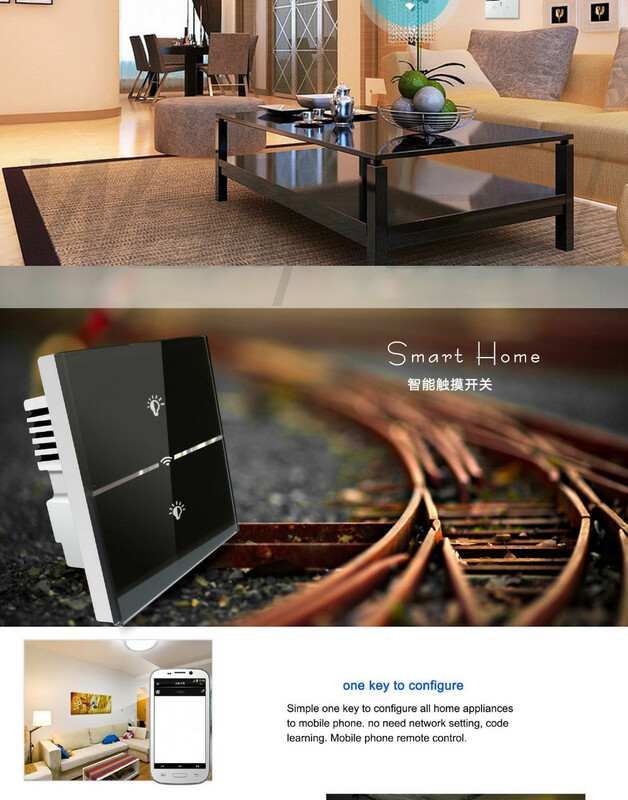 @Applicable to all the common lamps, such as Fan, incandescent, fluorescent lamps, led lamps and so on. 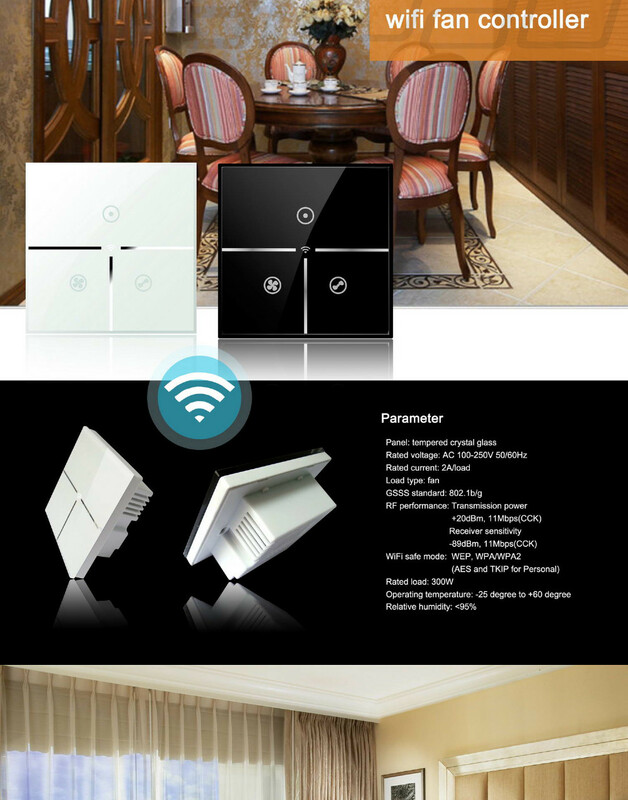 @Suitable for home, office, hotel, hospital and so on. 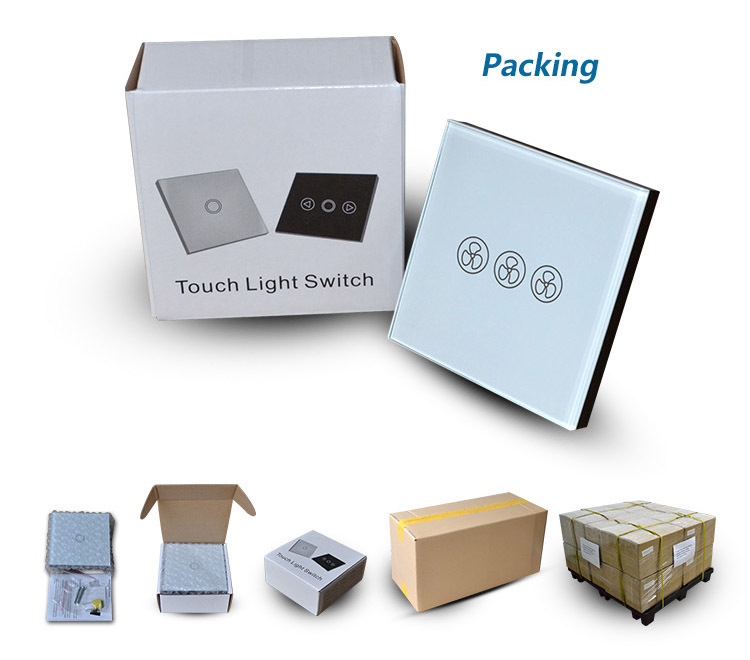 Why buy our remote switch? • widely used for merchandise houses, villas, hotels, etc. 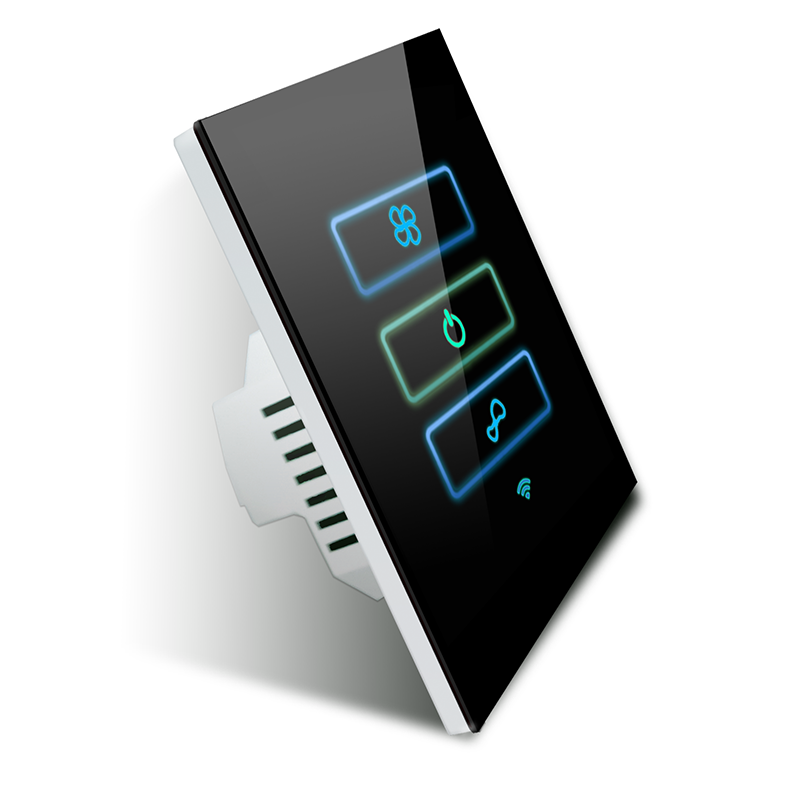 This is a new generation switch light. 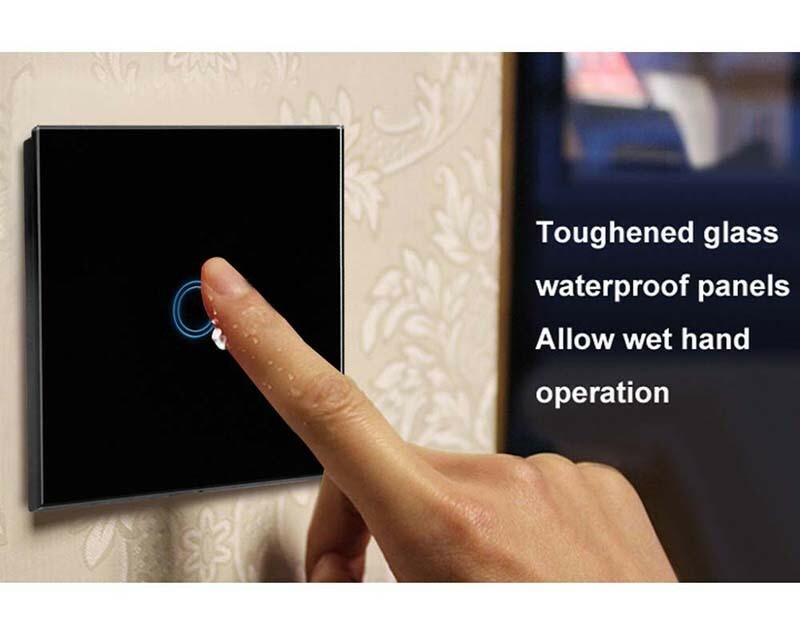 The switch with built-in design has waterproof, fire-resistant function and prevent electric shock. It allows wet hand operation. 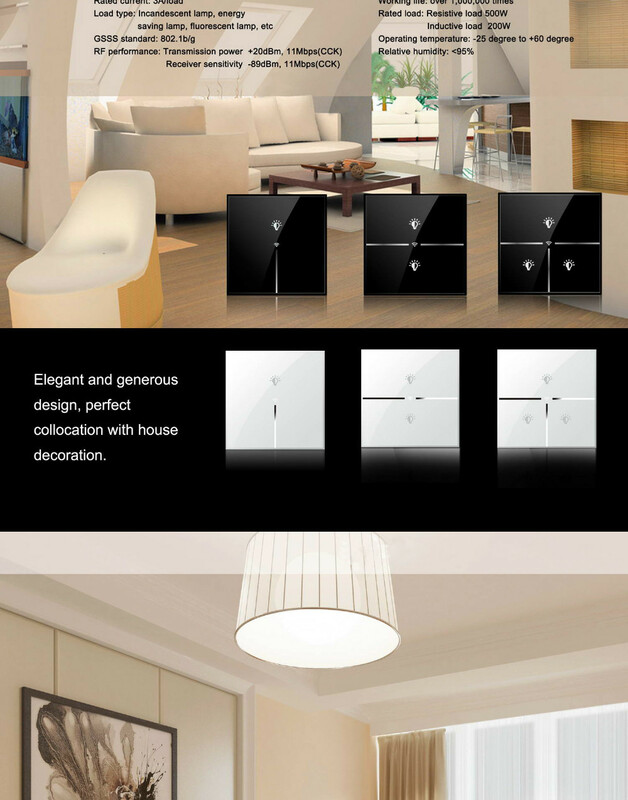 With luxurious and simple look, the switch made in different room style well, and enhances the appearance room in one degree. 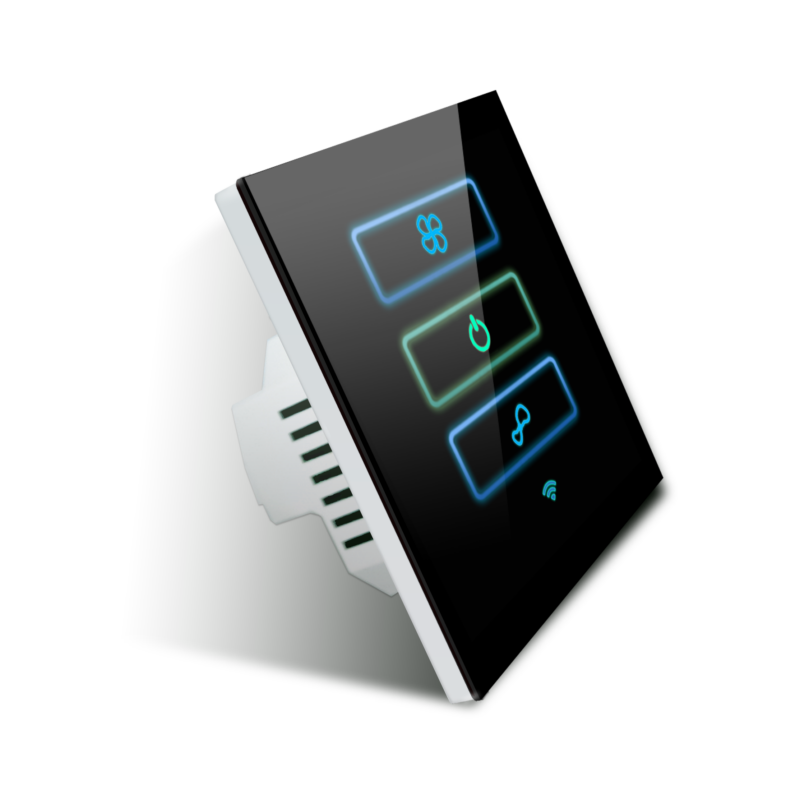 The touch-sensitive switch brings the best of your home without having to break the bank, and is suitable for use in all parts of your home, business and creation. All products are manufactured to high standards and are all UE certified for use in the UNITED KINGDOM, EU and other European countries. *Various color and design panels are available. 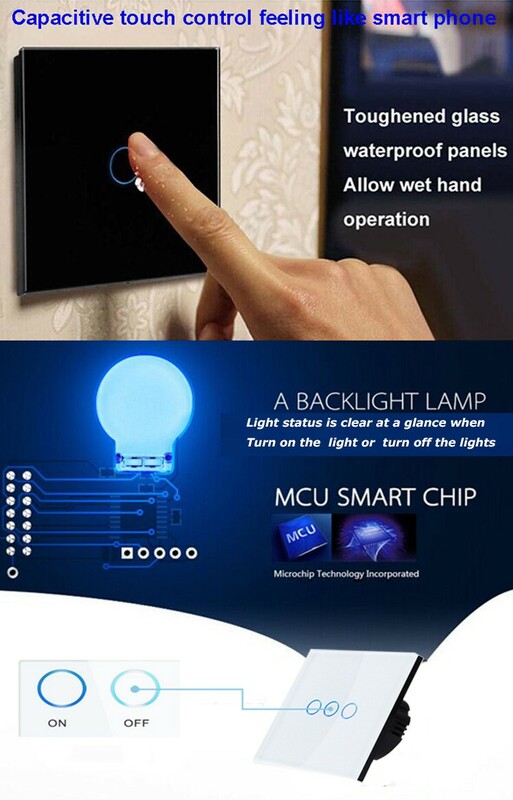 *With LED indicator, can find the position of the switch easily in darkness, very distinguished. * E-start, no sparking contacts. *More humanization design: the lamp is off when the incoming of electricity again, save electricity. * No voice when you turn on/off lights, keep your home or office silence. 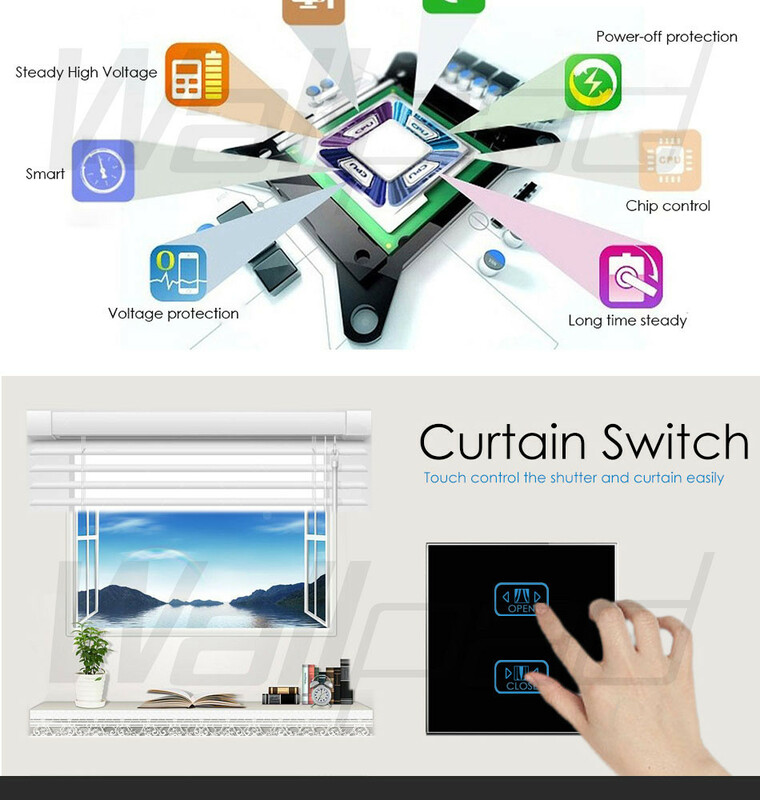 *Single live wire control, easy to install, replace the old switch directly. *All brand new imported IC, with more excellent performance and more sensitive touch. *Applicable to all the common lamps, such as incandescent, fluorescent lamps, led lamps and so on.